With so many technological advancements that cater to various needs and endless options on the market, buying a new TV for your home can be pretty daunting. Given the role a TV occupies in the home – providing entertainment, relaxation and a window to the world for the whole family – it’s not a purchasing decision to be made lightly. Not to mention the fact that you’re likely to spend a rather large sum of hard-earned dough in the process. Fear not - we’re here to help you decide. Here are five important things to think about before you swipe that plastic to ensure your new TV will bring nothing but joy into your home (ok, and maybe a couple of disagreements on what to watch). If you’re a fan of action-packed movies or nail-biting sporting events, you already know how important the size of the screen is. Consider the space into which your new TV will fit, and take measurements of the wall area or cabinet it’s going to sit on to make sure that you’re being practical about its size. How many people will be watching the TV at the same time? Now opt for the largest screen size that will fit comfortably in your lounge (and your budget). Generally, anything between 55 and 65 inches is a great all-around pick according to price, performance and how close most families sit to the TV. South Africa’s digital migration is upon us and by June 2019, you’ll either need a digital-ready TV that can transmit digital signals or a Set-Top Box to decode digital signals for your old, box-style analog TV set. The benefits of investing in a digital TV include crystal-clear image quality, excellent sound and a wider range of channels. Ask the sales assistant to show you their range of digital-ready TVs when making your selection. Apart from the obvious activity of chilling out to watch your favorite shows, what else do you want to be able to do with your TV? Will your kids be using it to play games? Will you be streaming shows on it? All of these preferences will impact the specific features that will attract you to buy a certain model over another one, so it’s wise to do your research, either online or in store before you say ‘yes’ to the device. Also, look out for at least four HDMI ports at the back of the set as these tend to get used up very quickly, especially if you are using accessories like a sound bar. 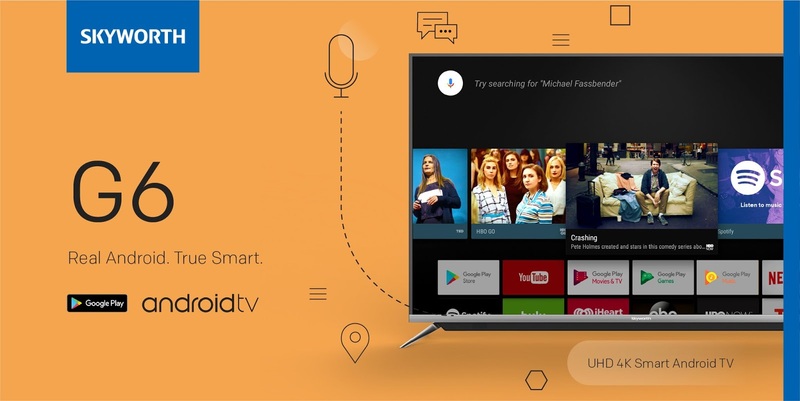 From Google Voice Assist, allowing you to speak to your TV, to rich connectivity via Bluetooth, selecting a TV that has advanced capabilities makes for a smarter TV and one you aren’t likely to need to replace in a few years’ time. With Android System 6.0, an easily updatable operating system, the G6 TV is your best bet when it comes to constantly upgrade your TV without forking out money every time.